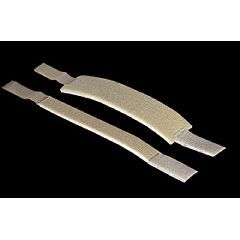 Super Straps are tough K-loop bonded to soft foam. 50,000 closures. 1" self-adhesive hook and loop on each strap end. 10/pk. I use this on my AFO. I water walk and the chorine is very hard on the sponge side. Nice to have new ones when I need one.